Why not consider a car rental France deal for your next trip. We provide car hire in popular French locations such as Paris Nice, Carcassonne, Perpignan, Geneva, Chambery and Grenoble to name just a few. France is a nation of warm, friendly and welcoming people where you will find village life goes on as it has done for decades and where the pace of its cities might be frenetic but is always maintained with a certain panache. France is also a landscape of incomparable beauty and contrast, punctuated with chateau’s, vineyards and all of the other aspects that make it so unique. France is a real treat to discover by road. You can really travel in style in the south of France with various luxury car hire models to choose form. Families are also well catered for with people carriers available, perhaps for a trip to Disneyland. Those on a budget need not worry as there are great value rental cars available for all visitors to France. Compare our cheap rental rates today. 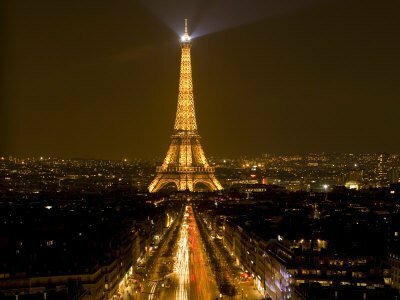 Paris epitomizes France. It oozes Gallic spirit and charm from its iconic attractions such as the Eiffel Tower, Arc de Triomphe and Notre Dame to the street artists of Monmartre and also the cafes and bars of Monparnasse. Take a look at our current car hire Beauvais Airport offers. Monument-filled Lyon, France’s largest seaport, Marseille, and Nice the jewel of the Cote d’Azur are also much loved holiday spots. France is of course well recognized for its wine, cuisine, language and culture. Numerous books and films have been composed to give us all a glimpse of Paris which is known all over the world as the city of lights and romance. France goes beyond Paris and its metropolitan way of life as France is also plentiful in nature and countryside. A holiday to France promises relaxation and fun. There are lots of unexplored regions in France that provide much for people looking for cozy and quaint spots. France’s gastronomy is a national treasure. Its the standard by which all other country’s cuisines are judged, culminating within the much-coveted Michelin stars for those who attain the highest levels. Long gone are jokes about frog’s legs. Try looking out for a local food market wherever you are. What better way to wash down a great dish than with some of the world’s best wines. It’s Champagne, Burgundy and Bordeaux wines are peerless as are the items of many other wine regions in spite of growing worldwide competition. Take a leisurely tour of a vineyard, and savor the nectar. The north of France is lined with sandy beaches that border the Atlantic ocean. England could be reached through the Eurotunnel that runs from Calais/Coquelles to Folkestone, England. The ride departs every day around four times per hour. The Nord/Pas-de-Calais area consists of contrasting forests, gentle meadows, and rolling hills in the expansive countryside. Lille is the main city in the region and home to fine arts museums, the seventeenth century stock exchange, gothic churches and company colleges such as ESC-Lille and Edhec. The southwest of France is a region rich in history. Bordeaux in Aquataine is well known for its wine production, but Aquataine is also known for being the center of the conflict between the French and English that lasted a number of centuries. These days, the fortified villages and castles built during this time have turned out to be top tourist destinations. Apart from vineyards, Bordeaux provides plenty of cultural events such as theater and music festivals. Situated in between the Alps and the Mediterranean sea, the region of Provence-Alps-Côte d’Azur is a must-see location in the south of France. Here you’ll discover Marseille, an active port with a lively atmosphere. Avignon is a blissful town of cafés, art galleries and fashionable shops while Aix-en-Provence is a university town filled with students. St. Tropez is well-known for its glamour and beauty; and Montpelier is a bubbly and stunning university town with city squares and mansions. 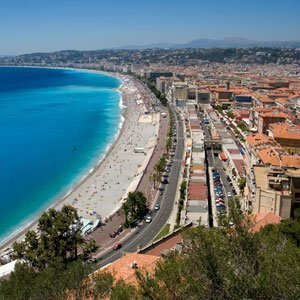 The French Riviera, internationally known for the festival of Cannes, offers visitors thrilling towns such as Nice and Cannes and quieter areas such as Beaulieu or Grasse which is the perfume capital of the world. You can easily discover this incredible location with a car hire Nice Airport deal. Further South again you can find magnificent holiday towns such as Toulouse and Perpignan. Take a look at our current Perpignan car rental offers.